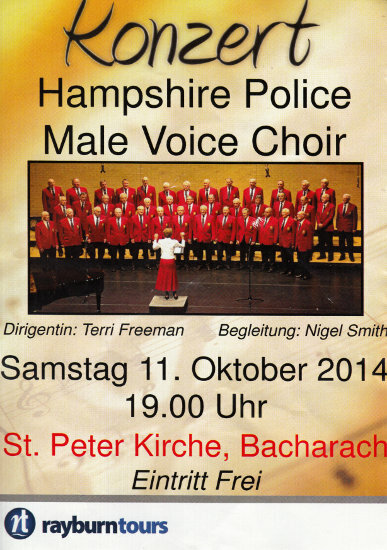 Welcome to the official web-site of Hampshire Police Male Voice Choir. We are a leading choir in the Portsmouth/Southampton area. 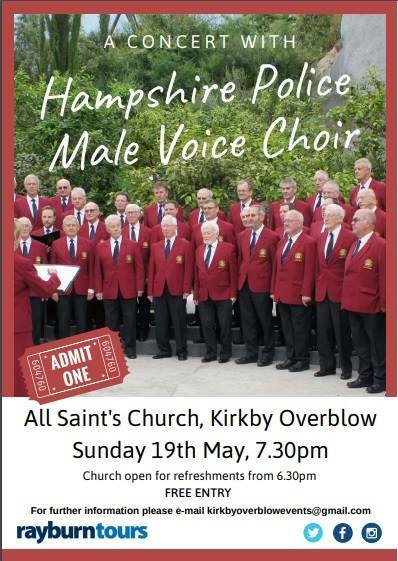 The choir is one of the leading male voice choirs from the South of England and is a most accomplished & well known Choir producing entertaining music. It is noted for its magnificent sound and is received with enthusiastic and warm appreciation by the many audiences, large and small, to whom the Choir sings each year. The Choir invariably creates a relaxed and friendly atmosphere, whilst maintaining the highest musical standards. Its concerts raise considerable sums of money for charities as well as giving great pleasure to audiences. Concerts by the Choir are always in great demand and consequently the choir is booked several years in advance, such is their popularity! Our repertoire is extensive and covers all genres of music ranging from the most sacred to sea shanties, folk songs and "show stoppers". Music from current shows like Les Misérables is popular with audiences who are often asked to re-live the past and recollect melodies from South Pacific, Gilbert & Sullivan and many more. Each performance programme is carefully compiled to take into account the nature of the occasion. The Choir has over fifty members and it is from within its own ranks that soloists are selected; each one capable of singing solos from grand opera to well known love songs of yesteryear. New members are always welcome. 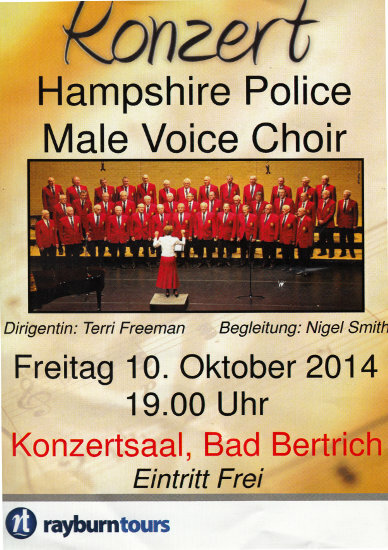 You do not have to be a policeman - just someone who enjoys singing and would like the opportunity of singing with us. We practise from 19:00 to 21:30 every Wednesday evening at Sarisbury Green Social Club, Addison Road, Sarisbury Green (400 yards west of Park Gate Police Station). Click for Map. Why not browse through other pages of this web-site to learn more about the background to the choir and to find out where we are going to be appearing in the future? Concerts start at 7.30pm unless stated otherwise. 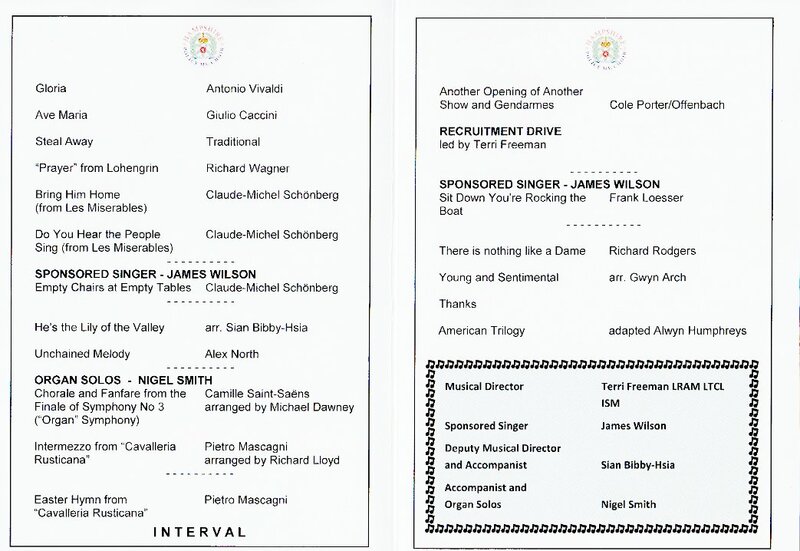 Here is an example of our repertoire from our concert on 23rd November 2013 at St. Peter and St. Paul Church, Fareham. 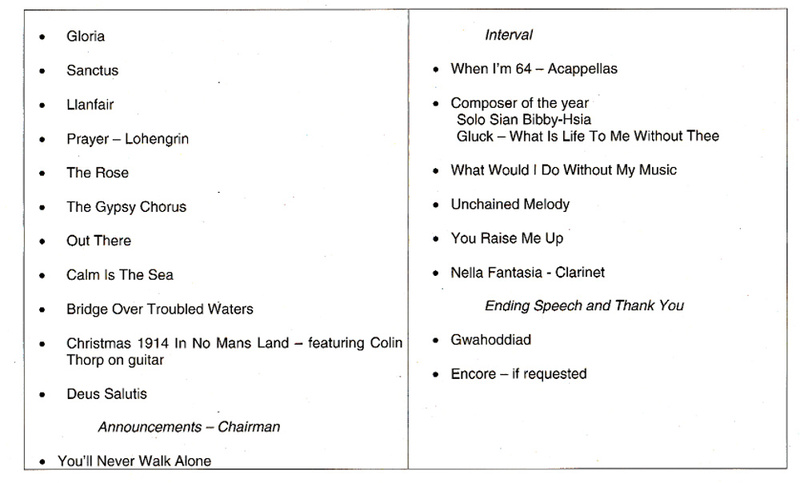 Here is an example of our repertoire from our concert on 3rd May at St. Colman&apos;s Church, Cosham. 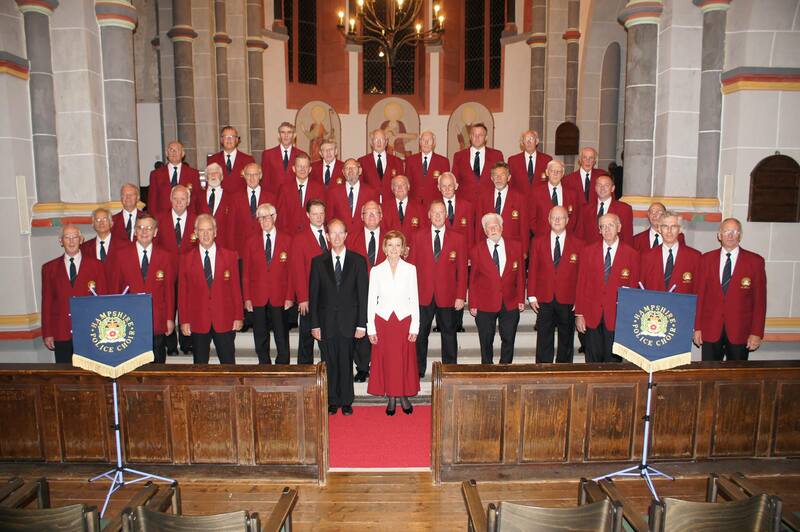 In October 2014, the choir performed three successful concerts in Rhineland, Germany. Here is an example of our repertoire from our concert on 9th May 2015 at St. Cuthbert&apos;s Church, Portsmouth. We were privileged to be the choir for the 185th anniversary celebration at Winchester Cathedral for the Hampshire Special Constabulary, when we learnt about their impressive work and history. The event was hosted by the journalist & newscaster Alistair Stewart OBE, and attended by the Chief Constable, Olivia Pinkney, the Special Constabulary Chief Officer, Tom Hope and the Vice Lord Lieutenant, Mrs Lindsay Fox MBE JP DL. up to 2 years in advance! concerts and other choir news? If so, please sign up below. Colin has sung from the age of 5 and enjoys performing, just 4½ years ago he joined the HPMVC looking for a new challenge in singing. Having been in teaching for 33 years he has recently retired and now has more time to devote to the choir and the joy of singing. He also works part time as a Tour manager for Great Rail Journeys. Geoff joined Hampshire Constabulary in 1978 and was almost immediately button-holed by his Chief-Inspector (Bryan Scarth) to join the Choir. He has been an active member ever since, serving from time to time as Treasurer and Chairman, and now as Vice Chairman. After 33 years as a 2nd Tenor, he has now changed to bottom Bass! I joined the choir in May 2013, having moved to the area from North Hampshire where I had been a member of a male voice choir for 24 years, holding various offices there. Retired solicitor, aged 71, widowed with 2 children and 2 grandchildren. Volunteer with National Coastwatch Institution. Other interests include sailing, bird watching, bridge and gardening with the occasional bit of cycling and motorcycling too. Terri Freeman was born in Ilford, Essex and from an early age began to develop her interest in music, displaying a talent particularly for singing. She became a soloist and was much in demand at concerts in her home town. In 1965 she and her husband moved to Hampshire and Terri became so involved with musical activities that she decided to make music her career training at Chichester College of Further Education in 1977. Encouraged particularly by her tutors and singing teacher she studied both privately and at the Portsmouth Teacher Training College, gaining her LTCL (Licentiate of Trinity College, London) followed by her LRAM (Licentiate of the Royal Academy of Music). She is also a member of the Incorporated Society of Musicians. In her career, she has taught music and voice production at many local schools, sung with amateur choral and operatic societies and directed productions for a number of them. In 1997 she was invited to take the baton as Musical Director of the Hampshire Police Choir after the retirement of her predecessor who had held the post for 21 years. The choir is benefiting from the expertise she brings and the members warmly respect their first lady Musical Director. This article is taken from the Spring 2019 edition of News & Views magazine, published by the National Association of Choirs, to which our choir is affiliated. All choirs come to rely on their musical directors and accompanists to support them in learning music and creating wonderful performances but how many choirs can claim to have had the support and experience of the same musical director and musical accompanists for over twenty years? 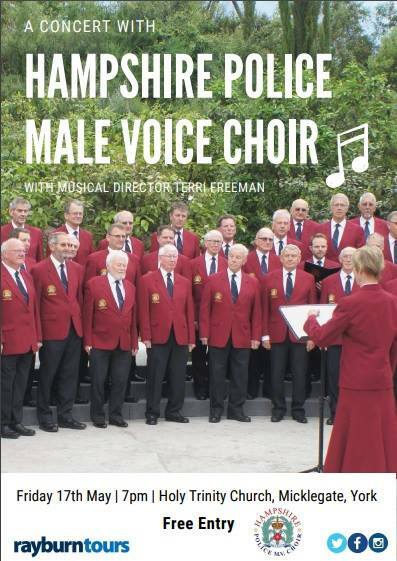 Terri Freeman LRAM LTCL FISM joined the Hampshire Police Male Voice Choir in September 1997 as Musical Director and this March will become the longest serving musical director since the choir was formed in 1940. She will be leading a special concert to celebrate this achievement in the same venue as her first concert with the choir, namely All Saints Church Denmead on Saturday 23 March. 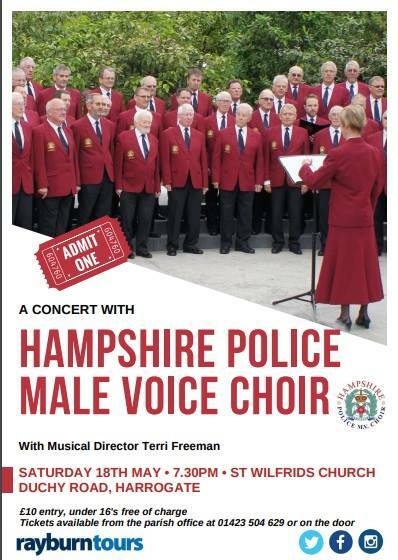 The concert will be supported by senior members of Hampshire Constabulary and other members of the community in Hampshire. Terri will be joined by Nigel Smith our musical accompanist who will have notched up just over 21 years as our accompanist, supporting us in excess of 150 concerts. Sian Bibby–Hsia joined as a second accompanist just over 20 years ago and then added the role of Assistant Musical Director to her portfolio a little later. The three have worked together as a team to ensure that the choir performs to a magnificent standard which is appreciated by all that support the choir and its performances. The Chief Constable of Hampshire, Olivia Pinkney QPM MA, recognised the long service of all three to the Police Family in recent award ceremonies where the three were accompanied by friends and family. It's our very own 'ChoirBox'. We conducted video interviews with some members and followers of the choir. The interviews were made during rehearsals (as you will hear) to give it that choir feeling which we hope does not distract from the questions and answers being given. Listen to those first, and then listen again to the background sounds to get a flavour of being in a real rehearsal. If a file does not display correctly when a link is clicked, please right-click on it, choose Save As... and then open the downloaded file. Very soon the choir was in demand to raise morale and for fund-raising activities in the battered city. Many concerts were given with the Band of HM Royal Marines, then, as now based in the city. Invitations also followed to broadcast on the Home & Overseas programmes of the BBC. This activity continued after the war and included appearances in 'Friday Night is Music Night'. 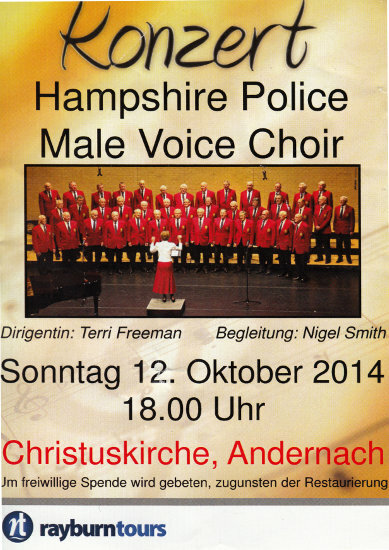 After the rationalisation of police forces in 1967 the choir became the Hampshire Police Choir. Its size has remained at about 60 with serving and retired police officers, special constables, civilian staff and others associated with the service. In recent years the choir has sung with choirs from Duisberg and Kiel, Germany, Oslo, Norway, Le Havre, France as well as the Rhos Cwmtawe Choir from South Wales and the St Colomba choir from Cornwall. The choir has exchanged visits with most of them. The choir sang in both the British Police Male Voice Choir concerts in the Royal Albert Hall, London in 1987 and 1990, and also with the massed bands of four regiments of the Brigade of Guards, directed by Owain Arwel Hughes, at the Cardiff Arms Park, in Wales in 1992 for the concert of the World Choir. The choir has a long history of community involvement and has raised tens of thousands of pounds for charitable purposes. This was marked in 1991 by a notable 50th Anniversary Concert with the band of HM Royal Marines before a capacity audience of 2000 in Portsmouth Guildhall. The choir is non-competitive but in 1993 it was invited to sing in the 5th Malta International Choir Festival with choirs from any European countries. In the male voice section the choir was placed first and received the Gold Award, bearing testimony to its quality. Hampshire Police Choir has also been privileged to visit the States of Jersey by special invitation, and to have shared platforms with the band of the Scots Guards, the Central Band of the Russian Army (formerly the Red Army Band) and the band of the United Air Forces in Europe and many other local amateur bands like the Solent Concert Band who have won many prizes. The sustained quality and reputation of the choir was marked by an invitation to join the massed choirs in the National 50th Anniversary of VE Day celebrations in Hyde Park, London, before members of the Royal Family, Heads of State and an audience reported to be about 200,000! In 1997 the choir made a week long tour of Croatia at the invitation of the government. The choir sang in Zagreb, Pula and Dubrovnik in support of children's charities looking after the many orphaned children following the dreadful civil wars in the region. The choir was overwhelmed with generosity and friendliness of the Croatian people and very much hopes to host a Police Cadet choir in the near future. Despite the war, Croatia is certainly an exceptionally beautiful country with many ancient sights and monuments. For 21 years the choir was conducted by Trevor Ibbotson, but in 1997 the choir appointed its first female Musical Director, Mrs Terri Freeman LRAM, LTCL, FISM. Since then, under her direction, the choir has continued to grow and now has an expanded repertoire covering many genres including songs from the musicals, classical works and popular music from the past. The choir has sung at exciting new venues such as Romsey Abbey, Winchester Cathedral, Portsmouth Anglican Cathedral together with a special invitation to take part in the BBC 'Songs of Praise' programme for Remembrance Day. The story continues - Please click on the 'Recent' tab above. The Choir regularly support local charities and good causes by singing in concerts to raise funds. It frequently shares events with the Band of the Hampshire Constabulary including annually at the Hampshire Constabulary Carol Service. The Choir is happy to receive requests for concerts, weddings, funerals and private functions (Click the "Book Us" tab above), and to hear from any men wishing to join the Choir (Click the "Join Us" tab above). You don&apos;t have to be a police officer and you don&apos;t have to be able to read music. Support and guidance will be given with singing techniques. 21st Festival of Male Voices at the Royal Albert Hall, London. Joint concert with the Band of the Hampshire Constabulary at Ferneham Hall, Fareham. Exchange concerts with Hereford Police Male Voice Choir raising nearly £10,000 for the &apos;Help for Heroes&apos; charity. Naming by Sir Robin Knox Johnstone of the new Force police launches at the Royal Southampton Yacht Club. Wells Cathedral – joint concert with Avon and Somerset, Dorset & Gloucester Male Voice Choirs. Thornden Hall, Chandlers Ford – joint concert with Romsey, Swindon and Hart Male Voice Choirs. Trip to Bruges performing in local churches. Singing and laying a wreath at the daily &apos;Last Post&apos; ceremony at Menin Gate, Ypres. Rhineland area of Germany: Concerts at Bad Bertrich, Bacharach and Andernach. Joint concert at Ferneham Hall, Fareham with the Band of the Hampshire Constabulary. Launched new CD, which is available for sale here. 185th anniversary celebration at Winchester Cathedral for the Hampshire Special Constabulary. 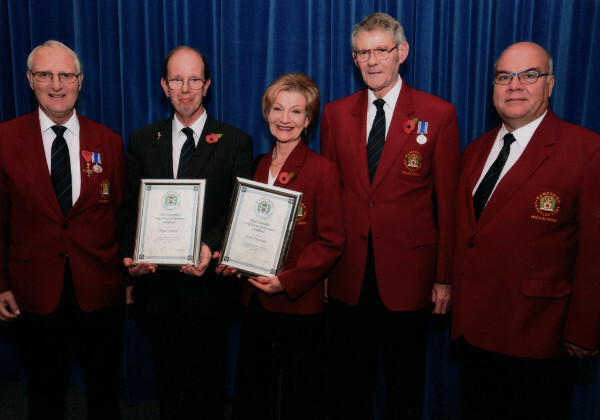 Cornwall International Male Choral Festival (Photos here). Joint concert with Basingstoke Ladies&apos; Choir. Terri Freeman becomes longest serving Musical Director. Weekend trip to York, singing in 3 concerts. 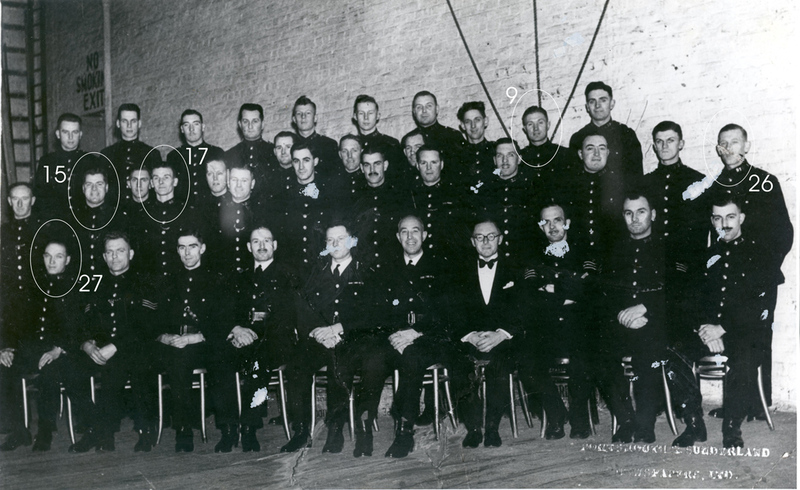 This is one of the first photographs of the Portsmouth City Police Choir, taken in 1940 with Jimmy Cracknell wearing the bow tie in the front row. To see further photographs and paper cuttings follow this link.